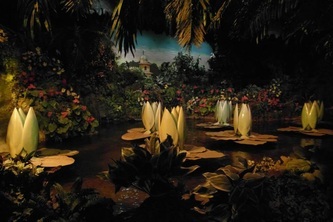 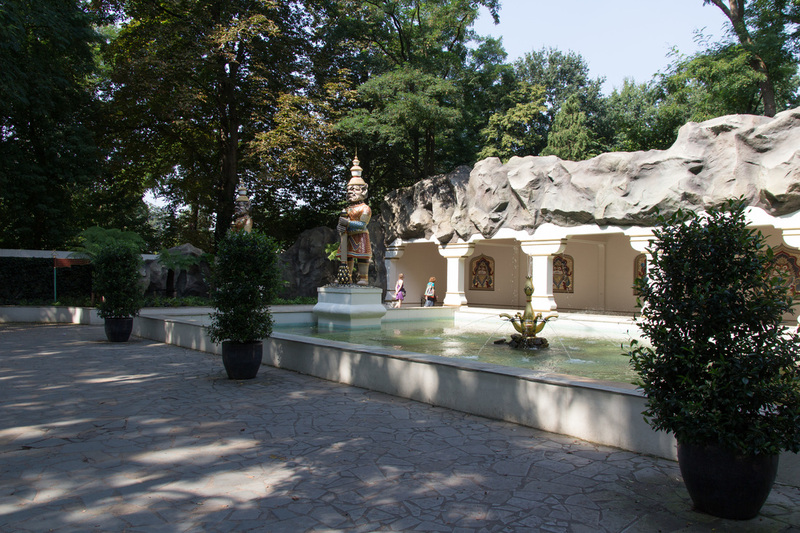 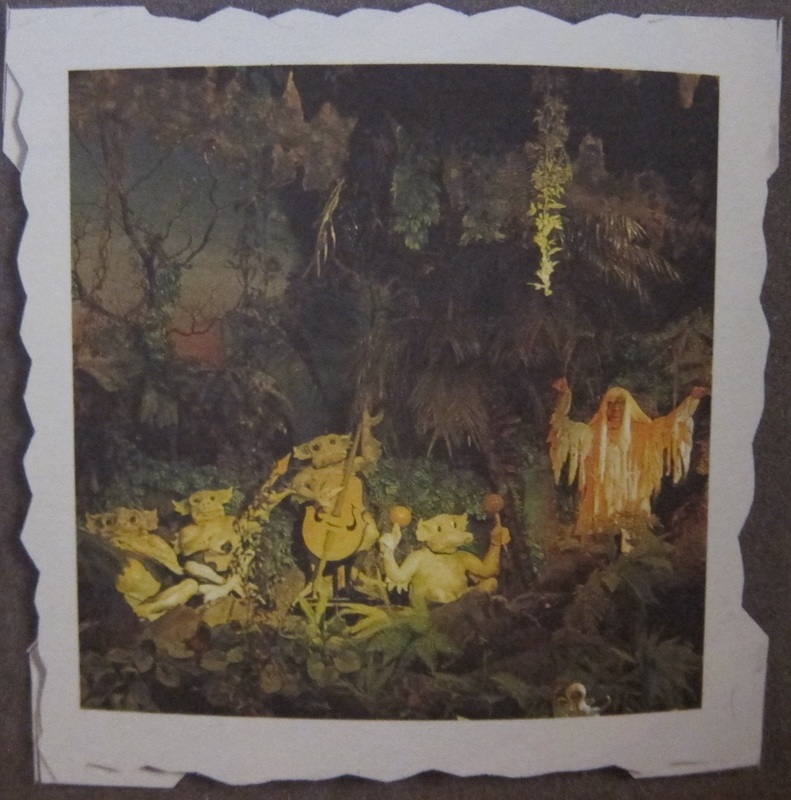 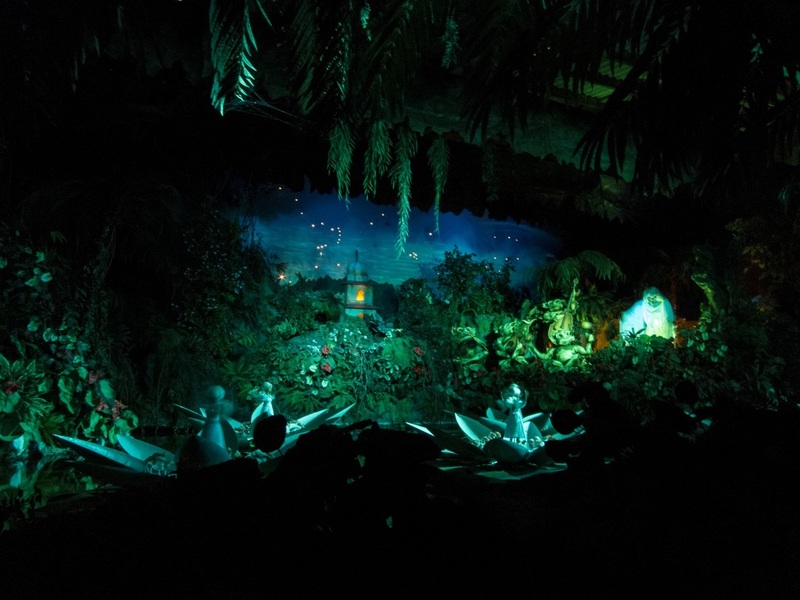 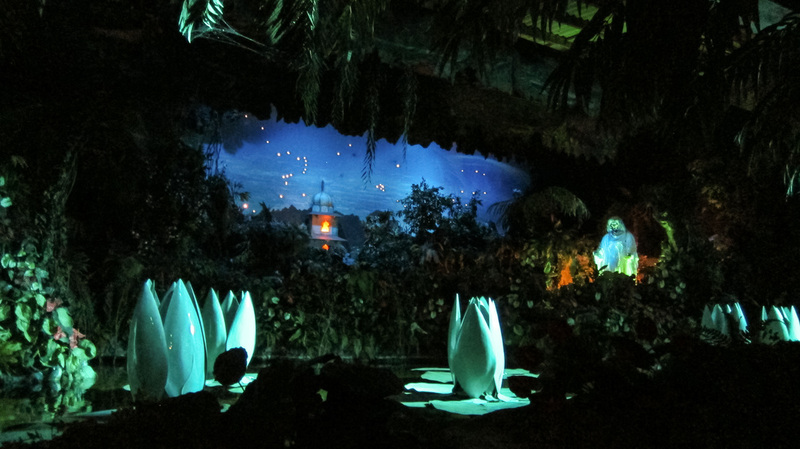 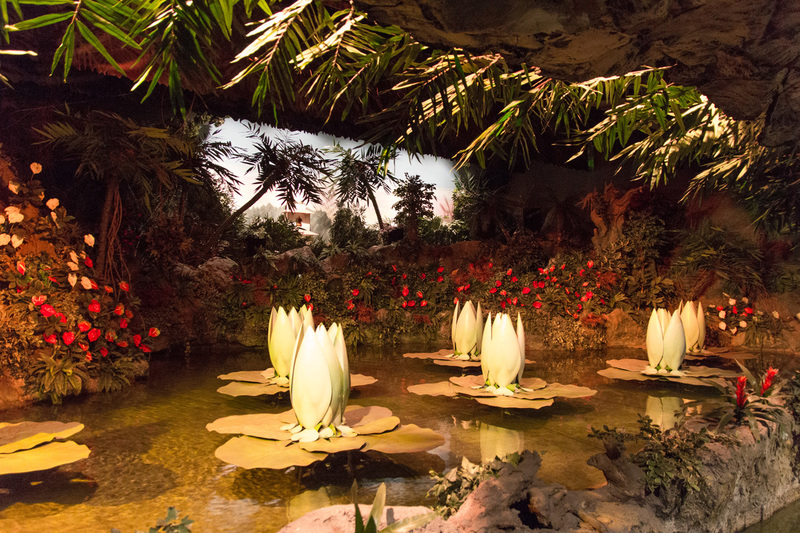 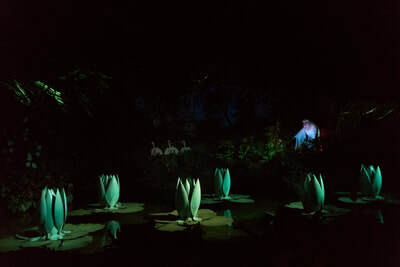 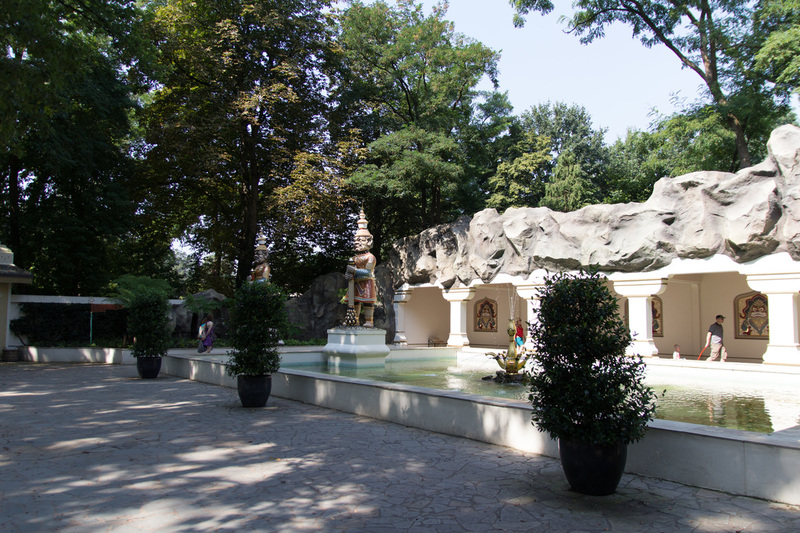 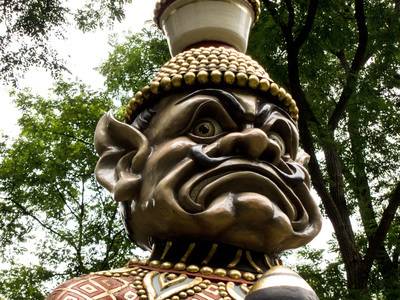 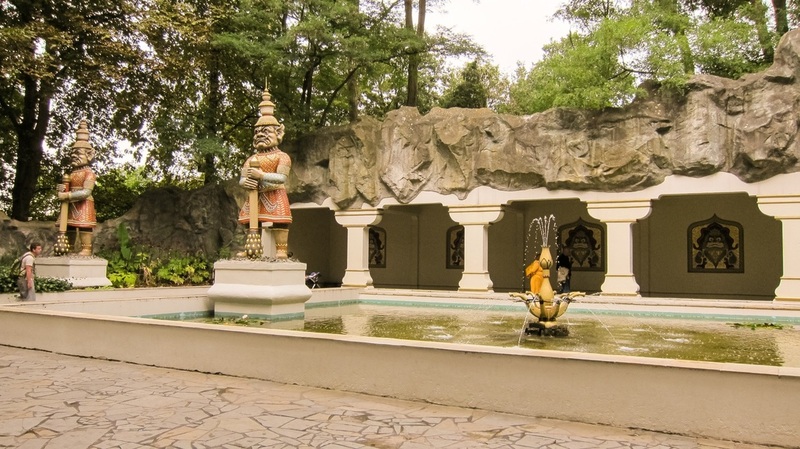 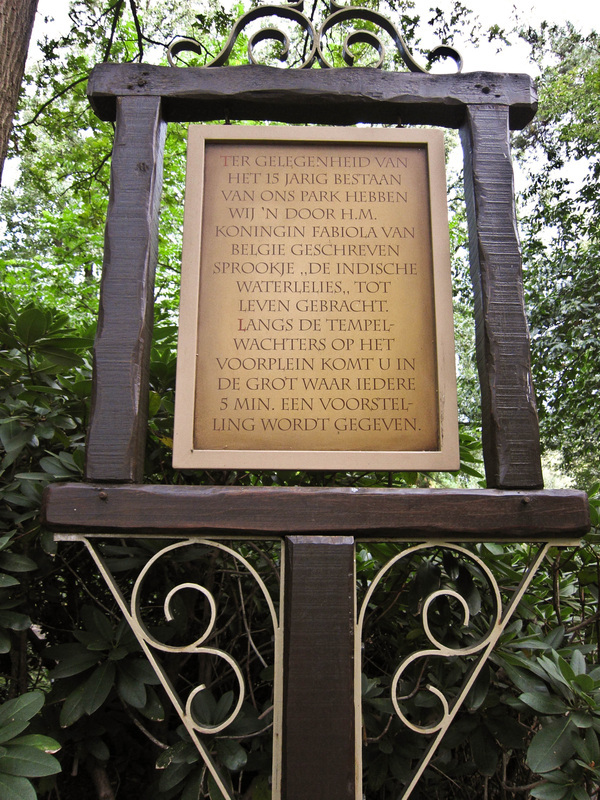 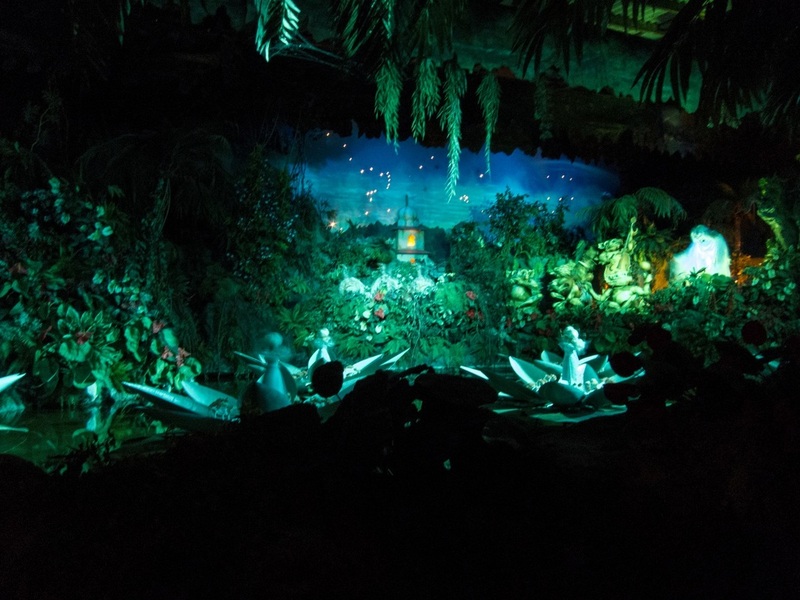 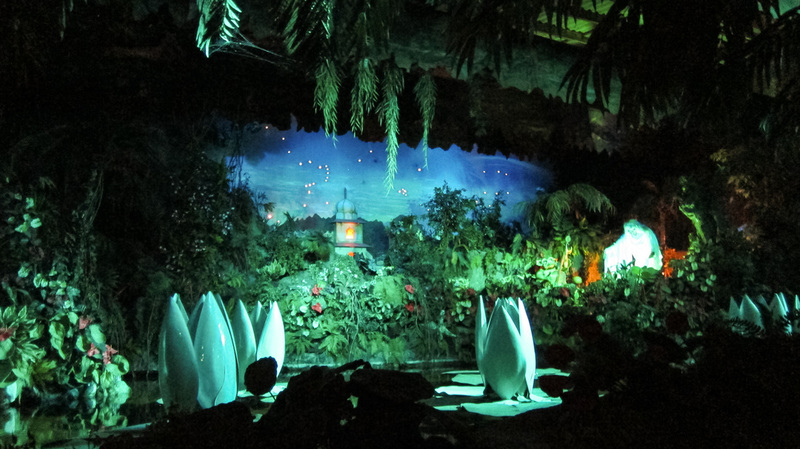 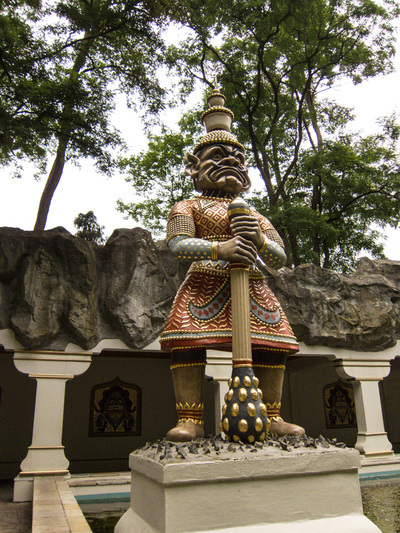 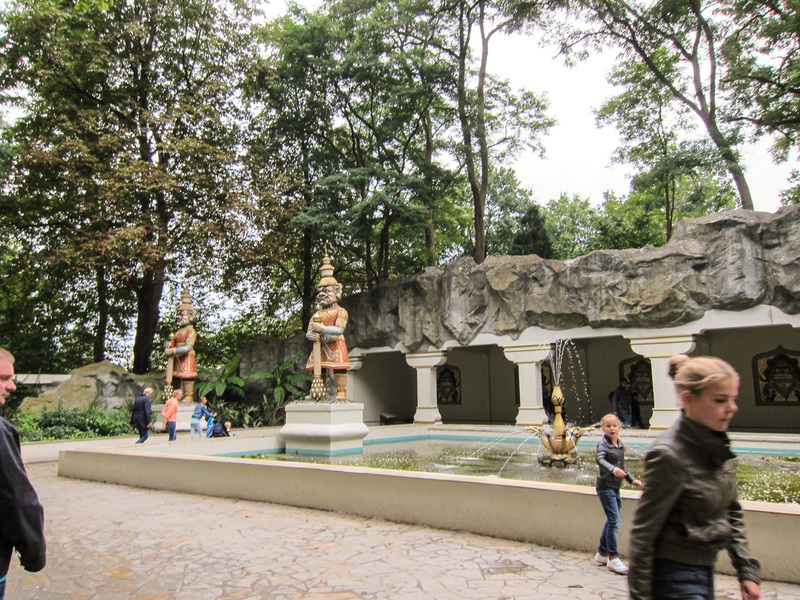 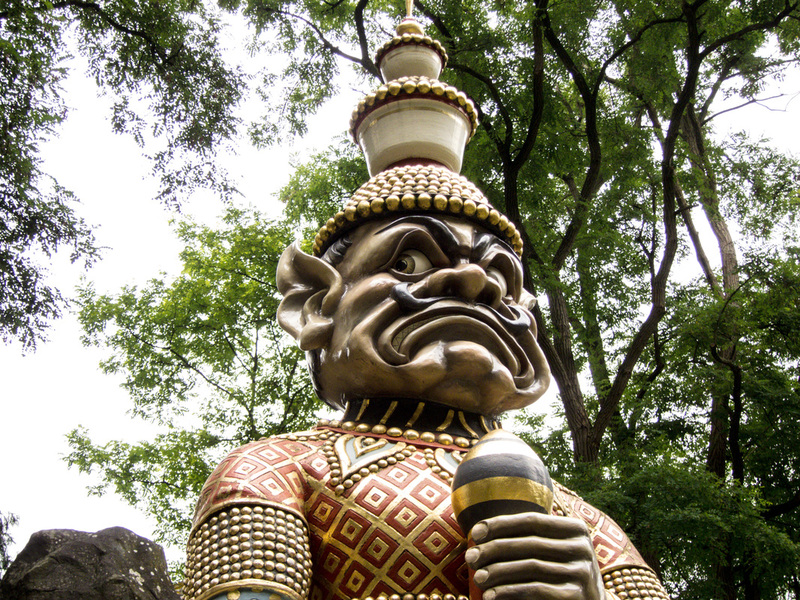 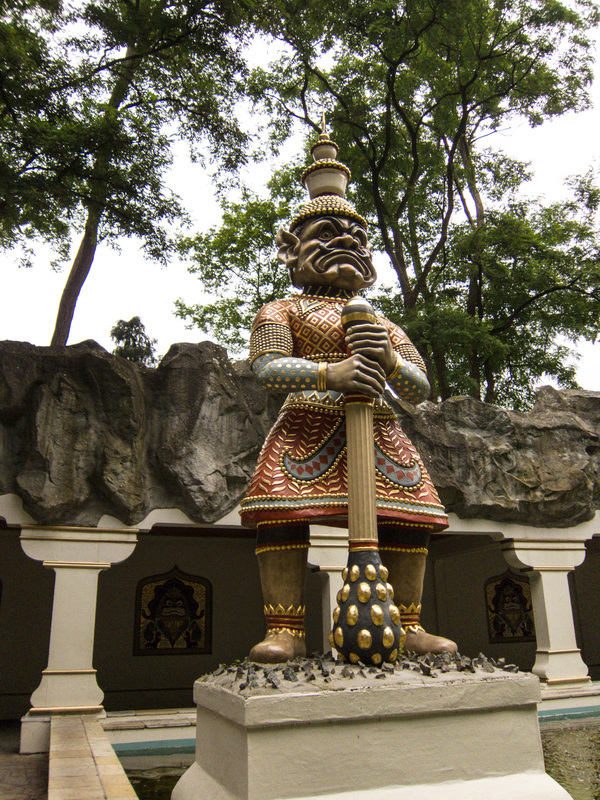 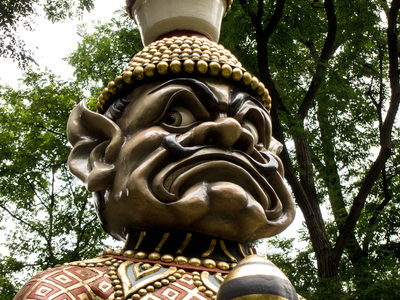 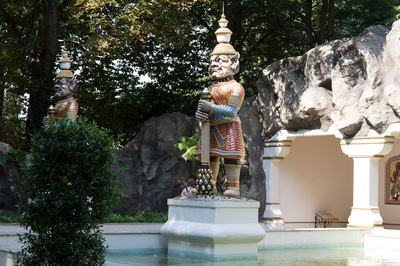 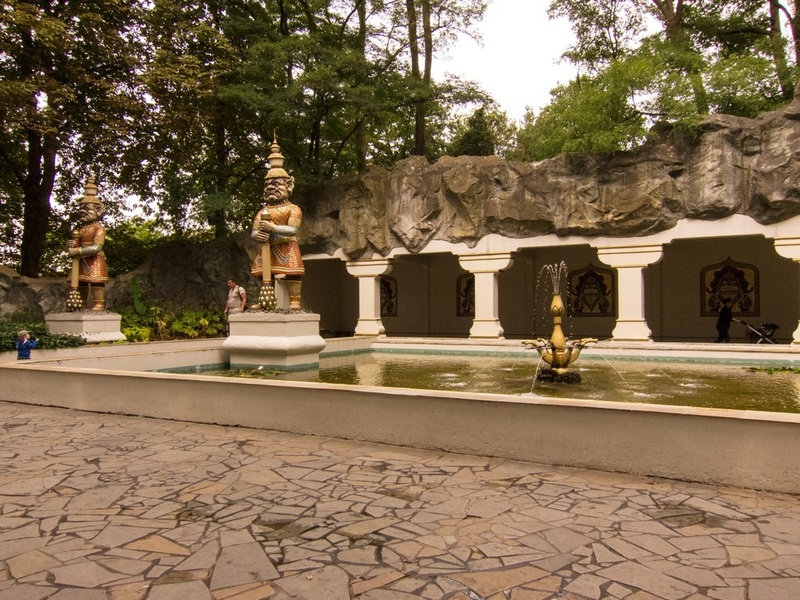 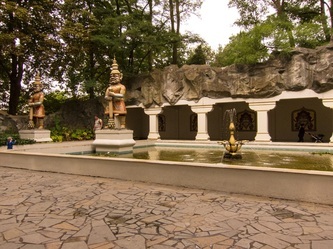 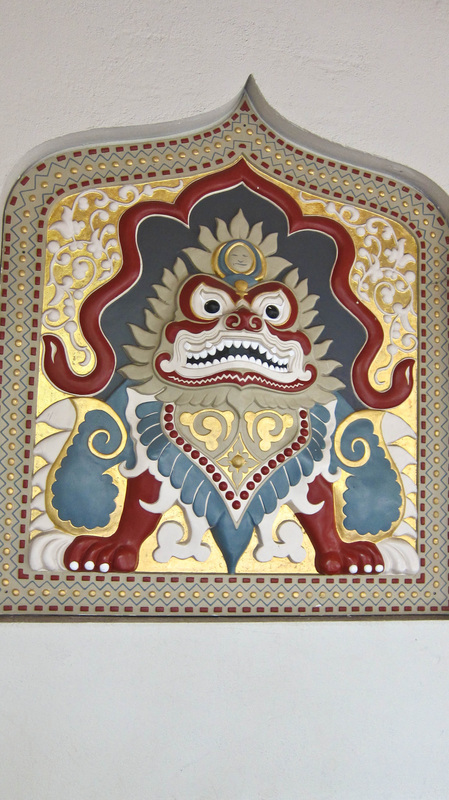 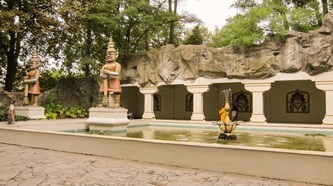 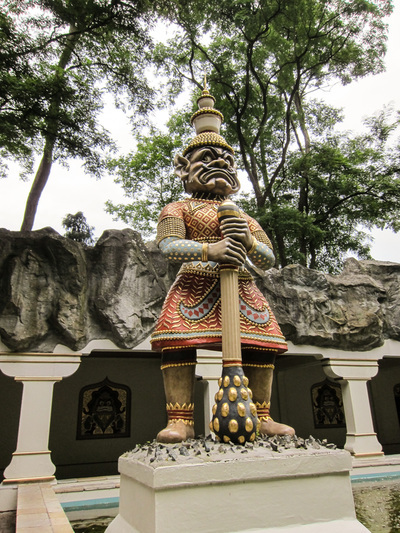 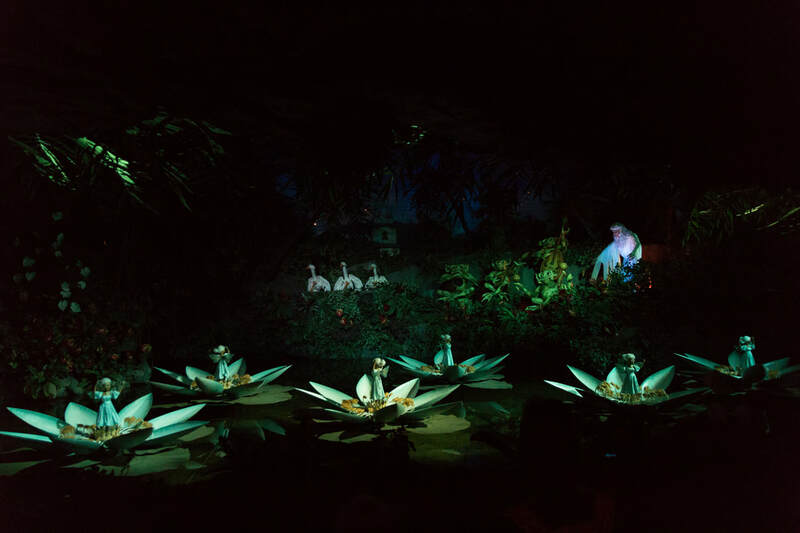 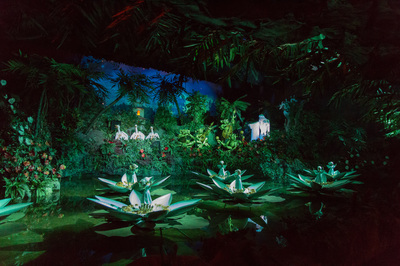 The Indian Water Lilies was opened in 1966 in honour of the park’s fifteenth anniversary and the story is a 3D interpretation of a story from De Twaalf Wonderlijke Sprookjes (The Twelve Wonderful Fairytales), written by the Belgian Queen Fabiola. 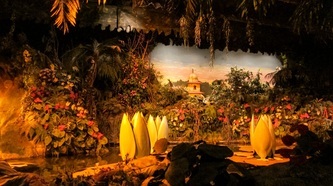 Somewhere far away in the depths of the Indian jungle, a jungle untouched by humankind, there was a small lagoon. 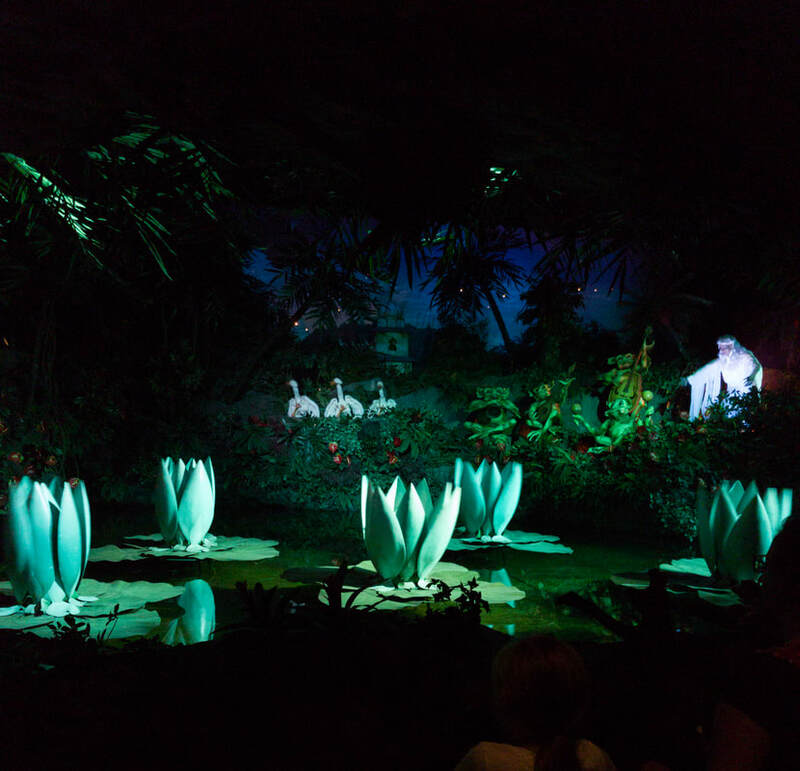 Seven water lilies floated on the motionless water. In the jungle lived a witch; the ugliest witch that ever there was. 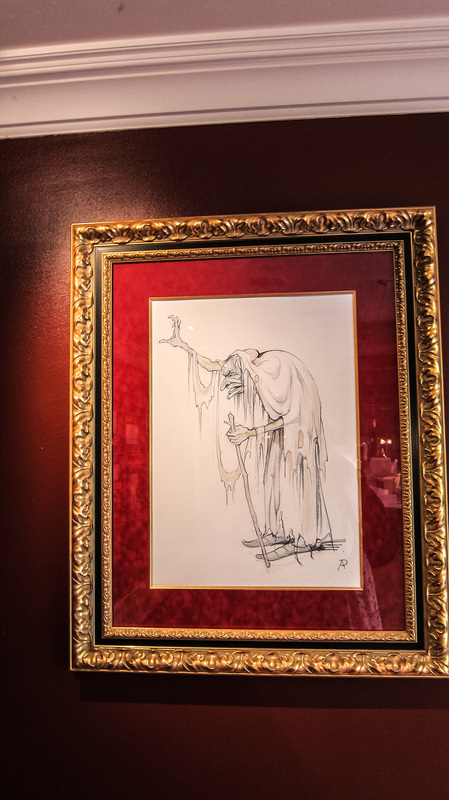 Scared to come out during the day, the witch hid her ugly face and only came out at night. 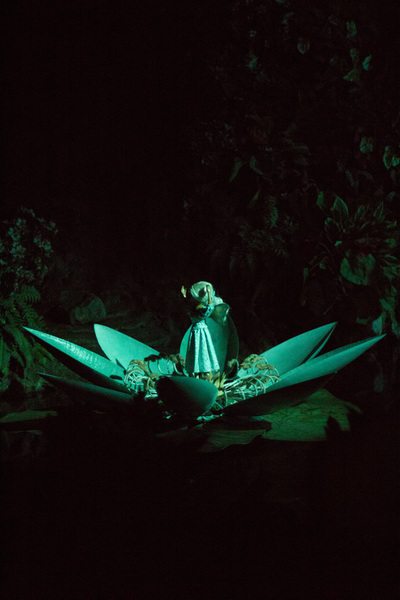 When she did, she would sing with her enchantingly beautiful voice. At full moon, a moon fairy and her star children would fly down to the lagoon and dance on the lake until morning. 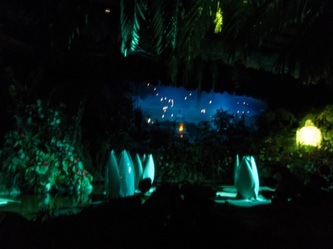 They would care never to stay too long for at day’s break, if they hadn’t returned they would be turned away from those starry skies. Over and over again, the witch had tried to cast a spell on the moon fairy and the star children with her singing, but it never seemed to work. 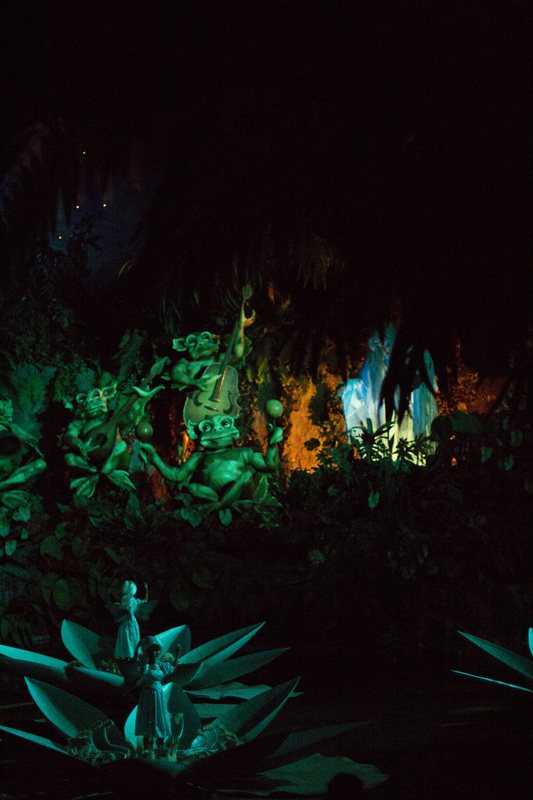 Until one day, seven of the star children were misbehaving. 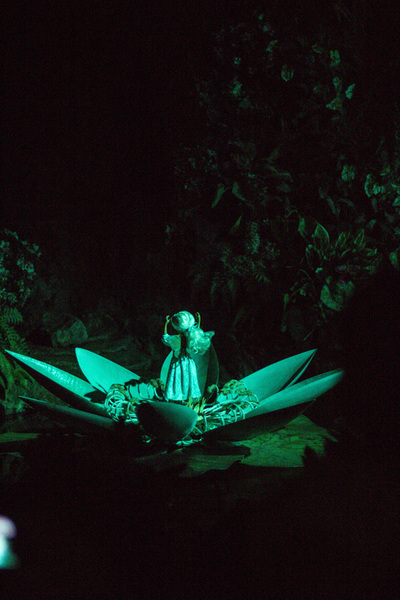 “Come children, the night has passed and it’s time to go home,” called the moon fairy. 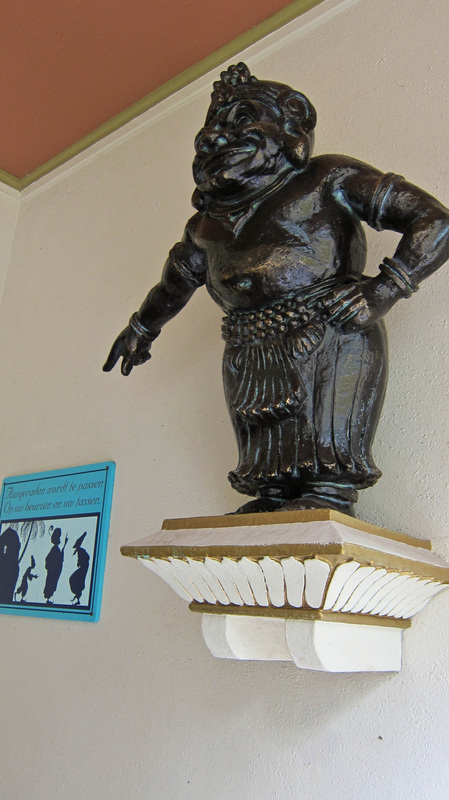 But the children wouldn’t listen. 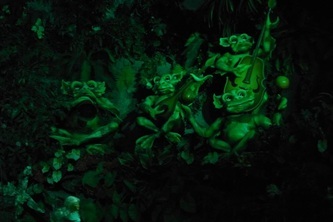 They danced and they danced and they danced, and the witch’s spell finally worked. 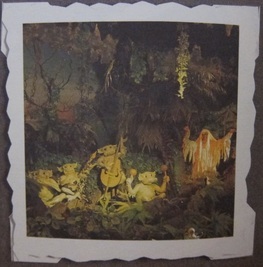 The poor little start children were caught under her spell. 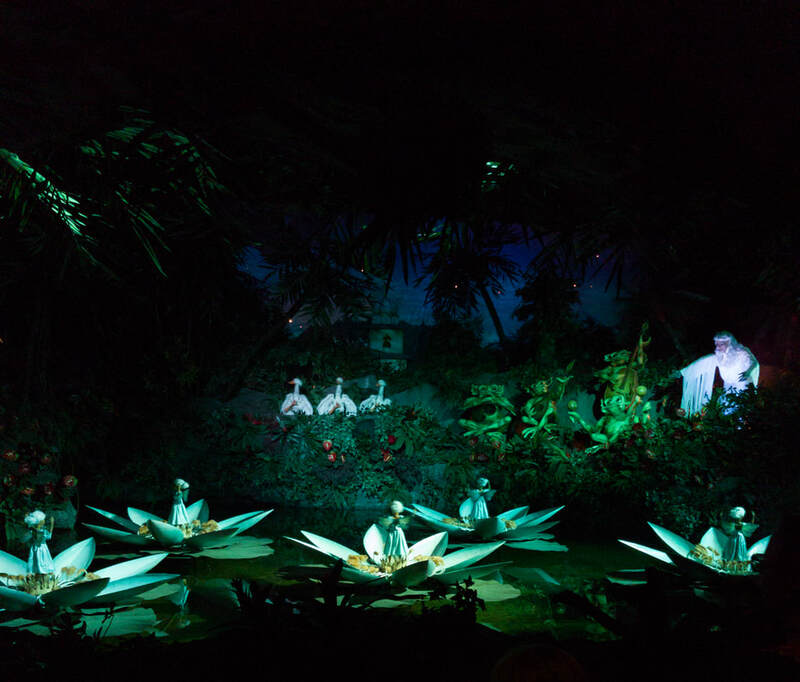 At midnight they could dance but turned into seven water lilies during the day. 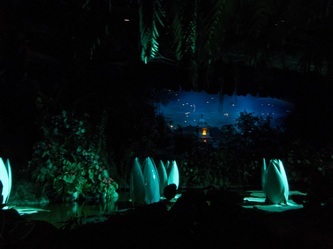 With their heads towards the sky, the unhappy little star children wished they could go home whilst the blue sky looked down upon them from above. Would the moon fairy be able to break the spell? 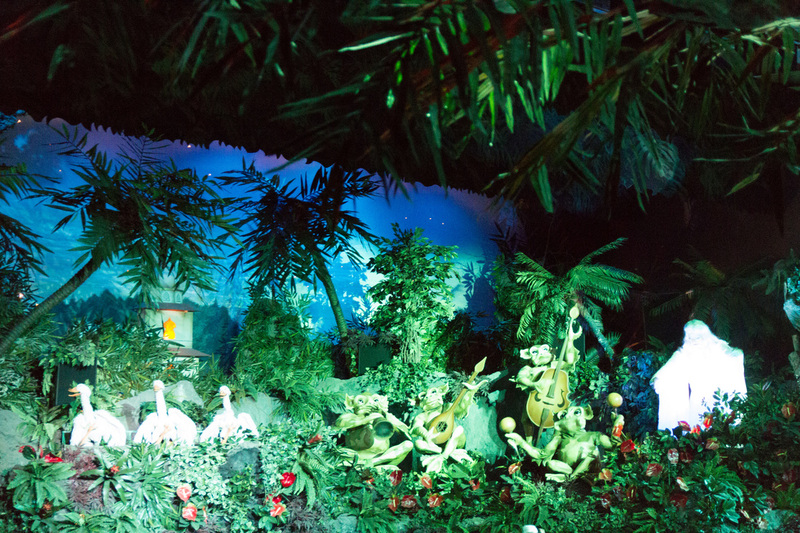 we ask you be patient. Will be unveiled for you again. 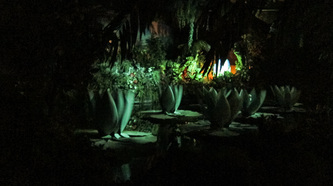 Before the music starts the story of the lilies is told over speakers. 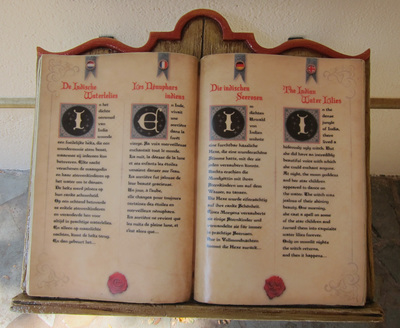 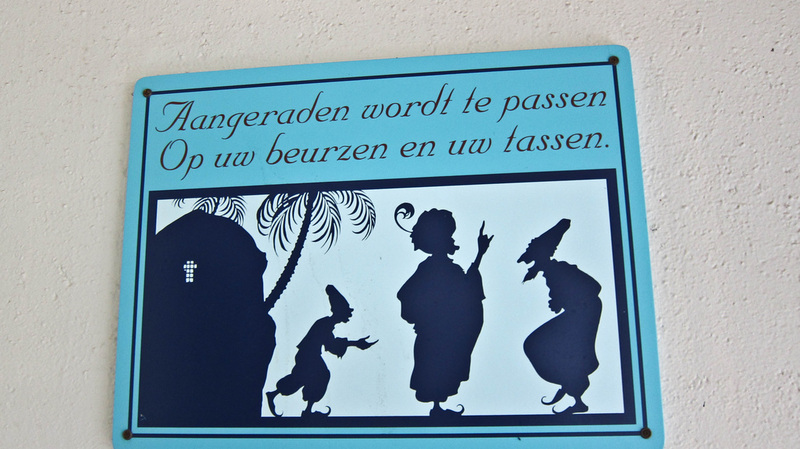 This however is in Dutch. 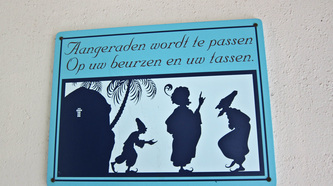 Please find the translation below for your benefit. 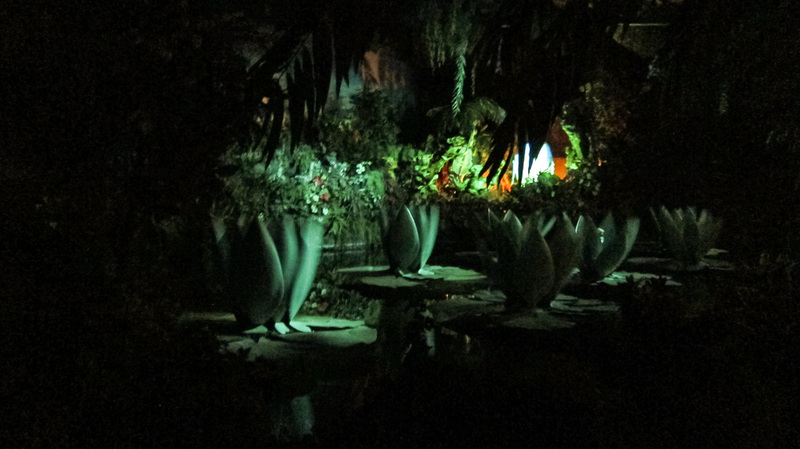 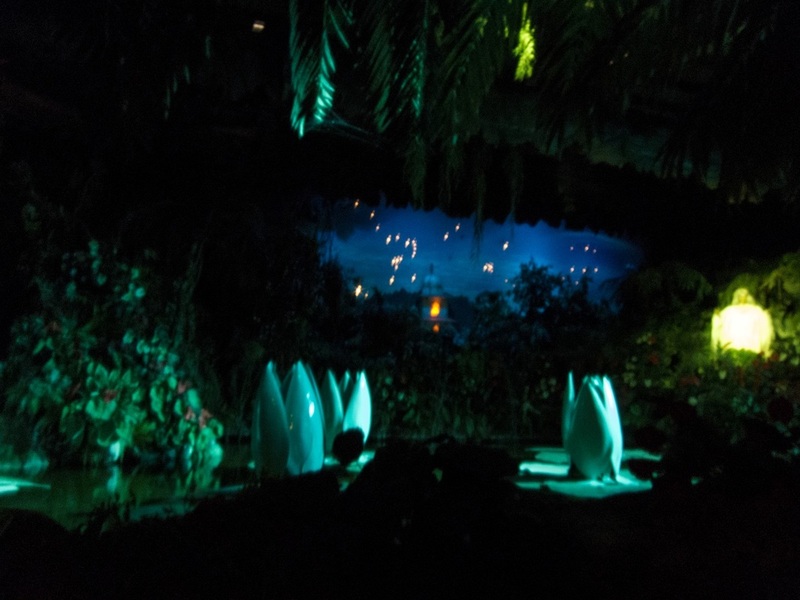 At night, when the moon shines in this beautiful jungle, be sure to pay attention to these beautiful water lilies. 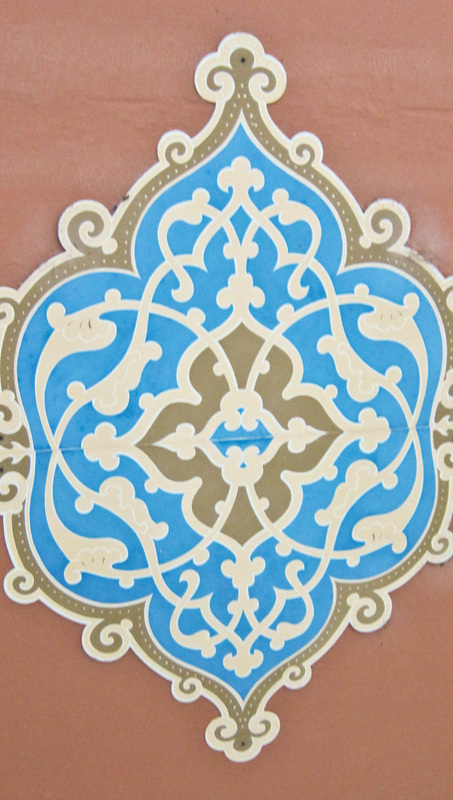 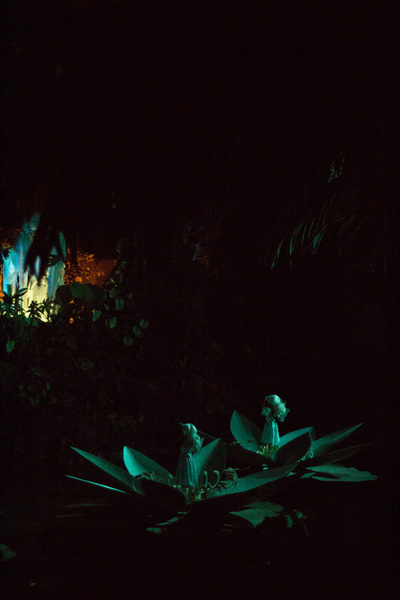 These flowers were once stars, who together with the moon and the other stars, danced at night on the water. One morning a few stars did not listen when the moon goddess called for them to go back. They danced and danced, until a witch appeared. 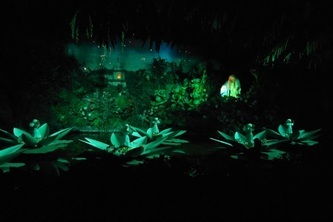 As punishment the witch changed them into water lilies. 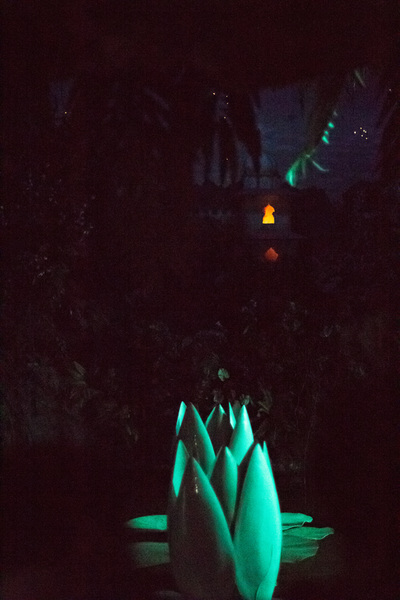 And only in moonlit nights will the witch return. 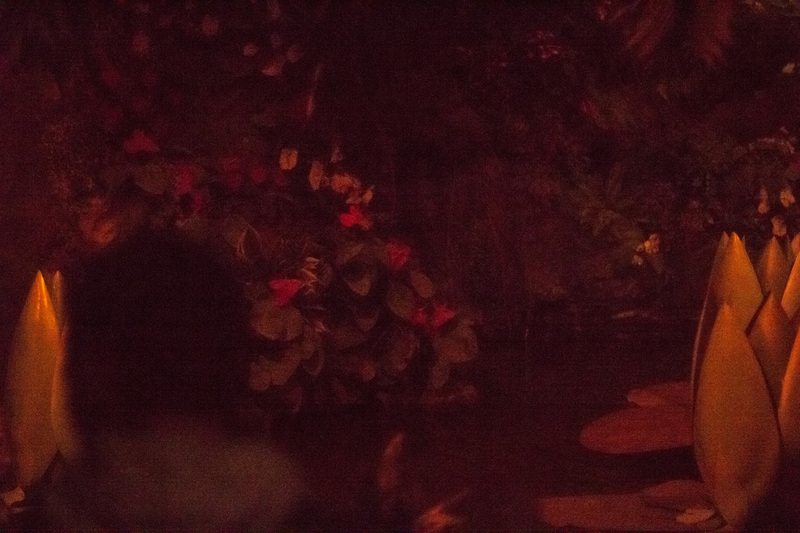 And then it happens. 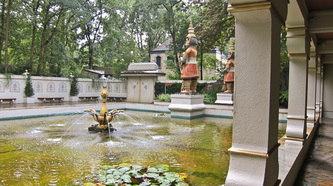 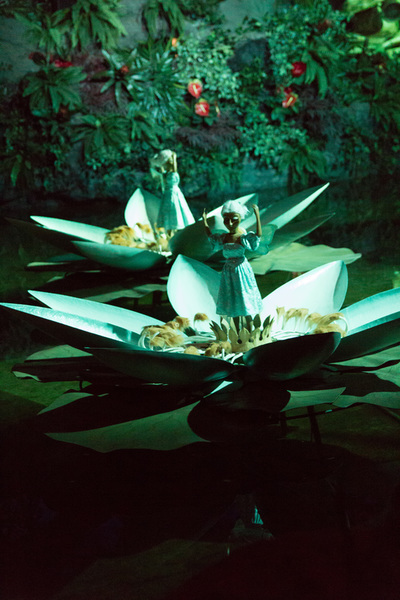 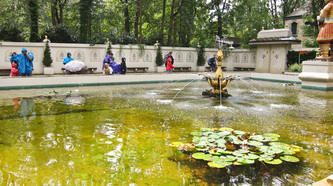 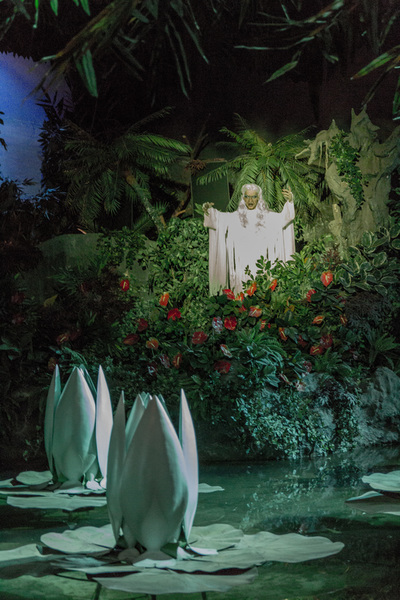 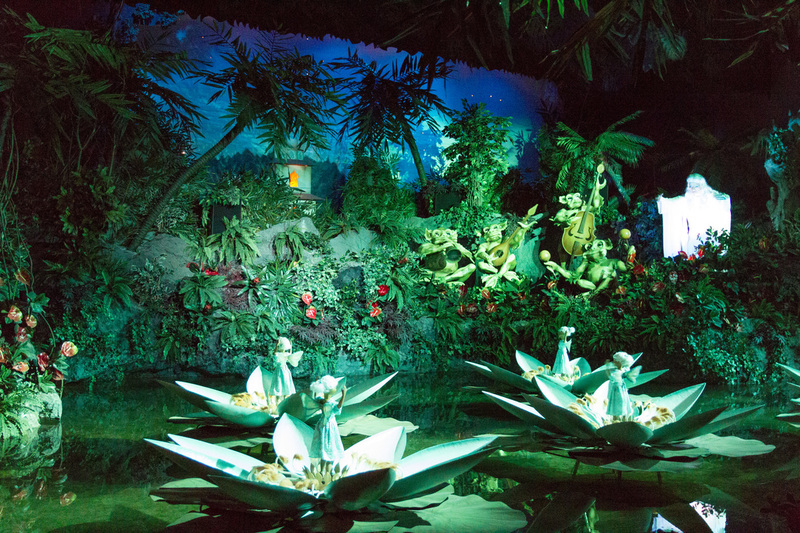 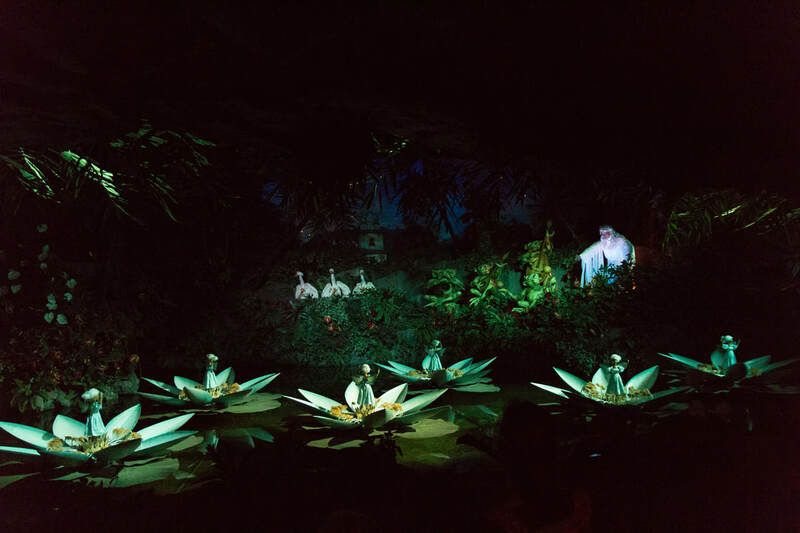 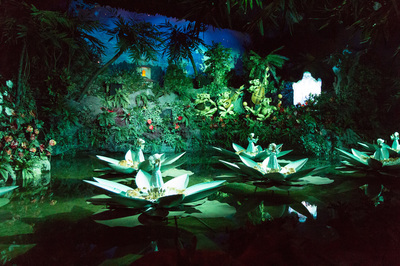 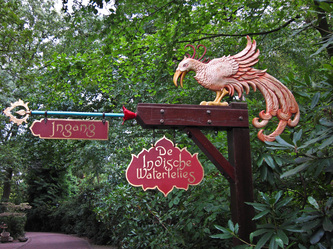 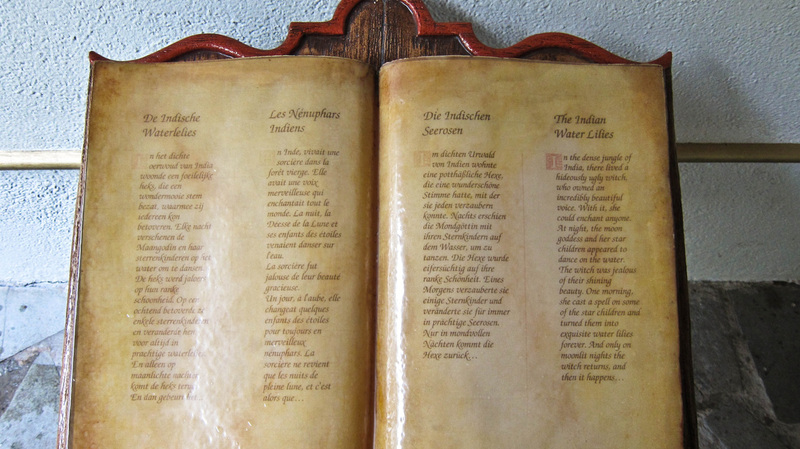 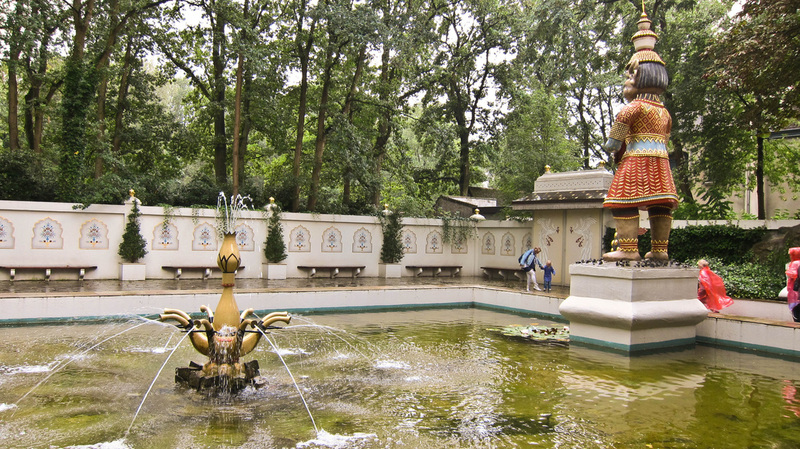 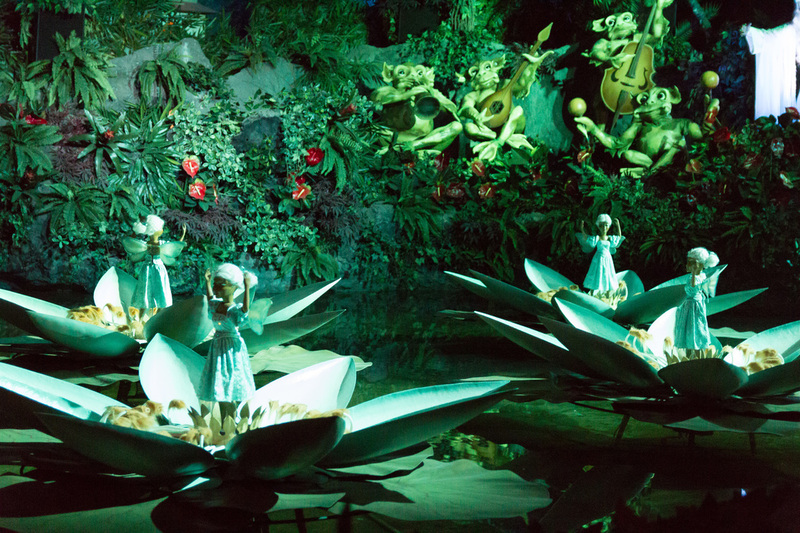 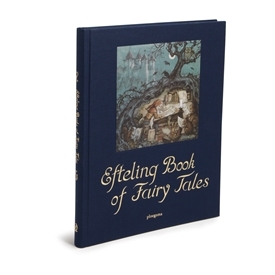 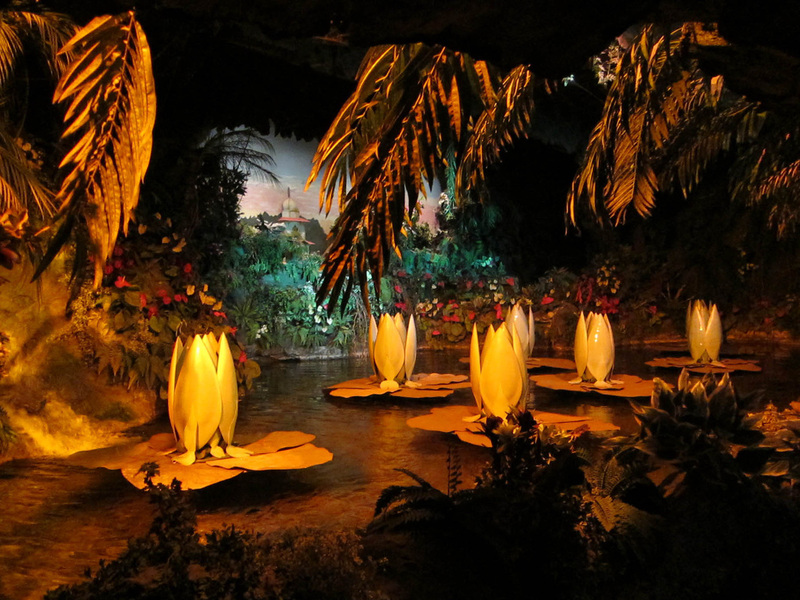 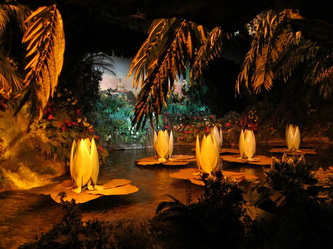 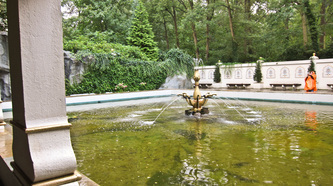 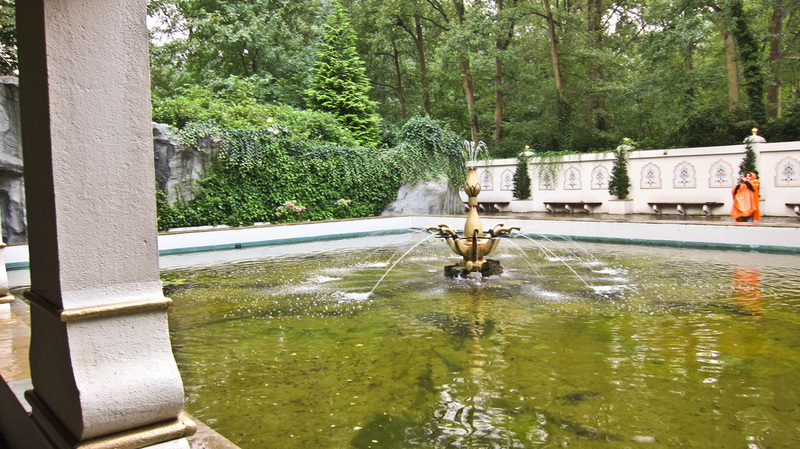 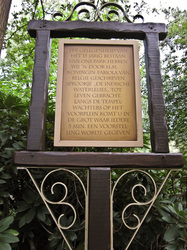 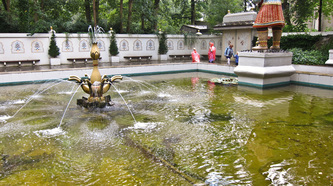 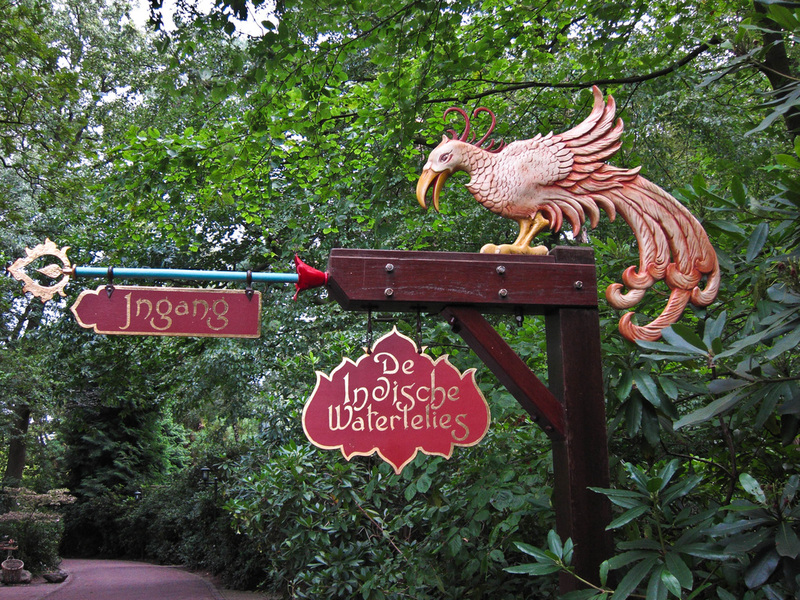 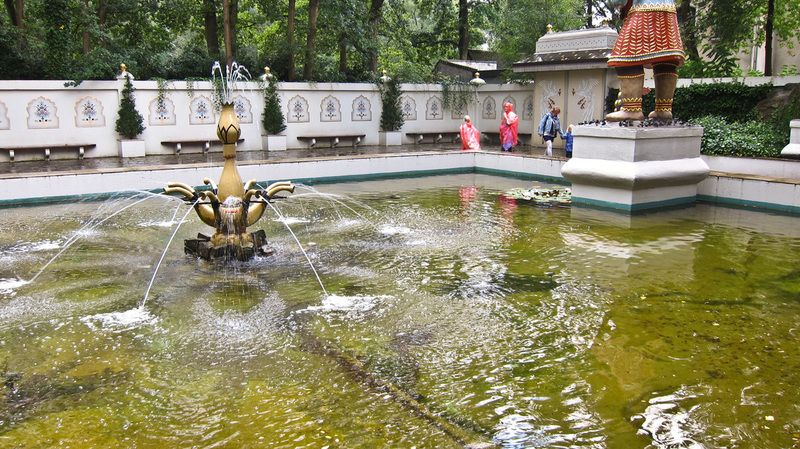 The Indian Water lilies, a fairy tale written by Queen Fabiola of Belgium, comes to life at Efteling. 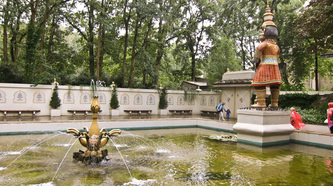 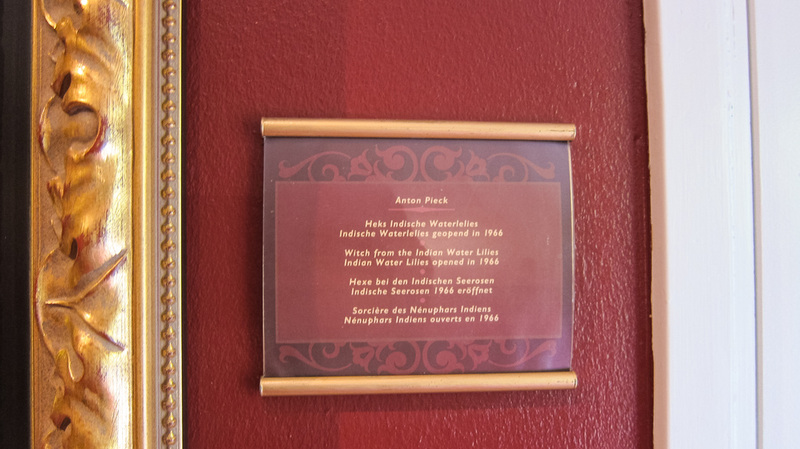 The Water Organ is put into operation in a former shelter near the Steam Carousel.